Here is Below some mind blowing and unseen interesting facts about world most famous beverages company Coca Cola.In below Facts we will Cover all facts about Coca Cola Company, its consumptions in world ,bottle designing and also its formula.Read Below Interesting Facts about Coca Cola Company one by One. In 1886 Coca Cola first Invented by a Pharmacist Name John Pemberton. 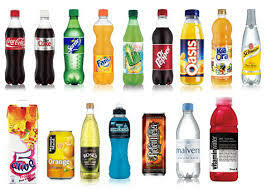 World Top Diet Drink were introduced by Coca Cola in 1982 which is now one of top selling beverage. Every Second 10,450 Coca Cola and its Products Consumed by customers around the Globe. Coca Cola Company Produced more then 3500 Different Brands. Coca Cola Facebook Page have more then 90 Millions Fans which are increasing day by day. Coca Cola is World First Drink which is Consumed in Outer Space. In first Coca Cola consumed for cure from various deceases, including headache and impotence. If We Distribute Coca Cola all Bottles for every person on the Earth , then Every Person got more then 1000 Bottles. If We Make a Chain with Coca Cola Bottles then this Chain Reach from Earth to Moon more then 1600 times. More then 8000 Glasses of Coca Cola Consumed every second on Earth. 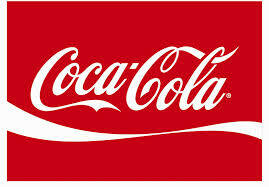 The Red logo of Coca Cola is recognized by 90% population of World. Coca Cola Still Invest lots of money on advertising. Like they invest more then 3 Billion $ in 2011 for marketing. 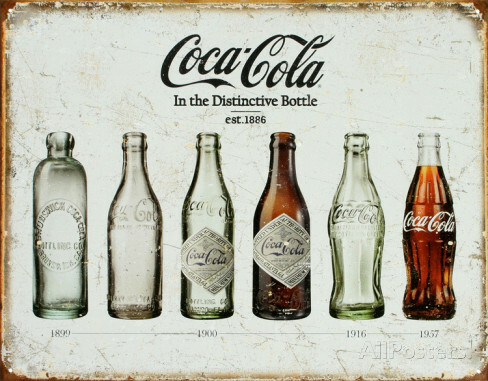 Coca Cola Present Bottles design is introduced in 1957.